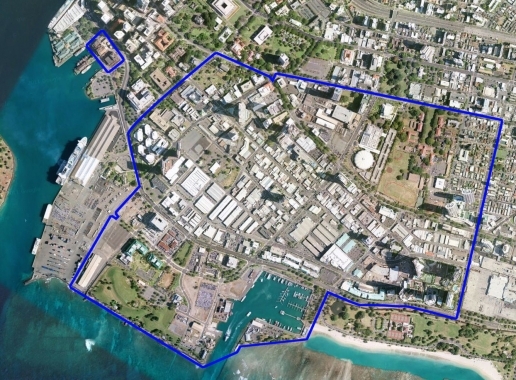 Keauhou Place will feature 388 residential units in a 400-foot high-rise building, along with a mix of 35 townhouse units in a 42-foot mid-rise tower, as well as 2,854 square feet of ground-floor commercial space, 13,000 square feet of open space and 31,400 square feet of recreation space. 20% of the units will be Reserved Housing units. (To learn more about how your buyers can qualify, please see the Reserved Housing 2005 Mauka Area Rules FAQ’s for more information). Running through the middle of the site is Keauhou Lane, a pedestrian retail/dining lane that hopes to be a focal point of the neighborhood. Keauhou Place is named after a historical Hawaiian lane that once ran through the property meaning “New Era”. 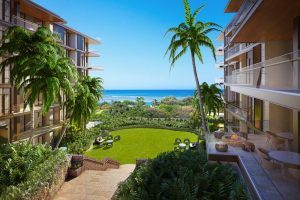 Keauhou Place is now selling unrestricted and reserved housing units. Pet Policy: No more than two (2) pets shall be allowed per unit. No pet may exceed fifty (50) pounds. 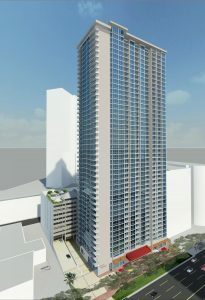 The planned seven ultra-luxury condominium towers to be built on what is now a parking area of Ala Moana Center fronting Ala Moana Boulevard will include 215 units with 109 two-bedroom units, 65 three-bedroom units, 36 one-bedroom units and five five-bedroom penthouses, according to a permit filed recently with the City and County of Honolulu. The eight-story buildings, which will be 100 feet tall, range in size from 850-square-foot units to 6,000-square-foot units and will have 2.5 floors of commercial parking. Construction is scheduled to be completed 2018. Pet Policy: No more than two (2) pets shall be allowed per unit. No pet may exceed sixty (60) pounds. 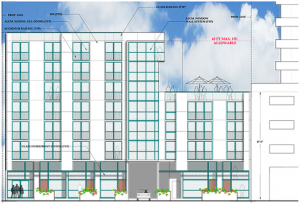 The BLOCK is a seven-story, 153 unit project proposed by developer Franco Mola of MJF Development Corp. 20% of the units will be reserved housing units and 50% of the units will be affordable housing. Located at 803 Waimanu street, the project is expected to begin construction later this year and be completed in 2017. HCDA approved the project on 1/8/14. Market Units now available for Ke Kilohana. 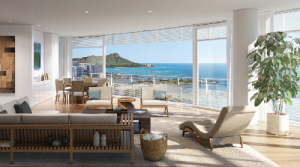 Located at 988 Halekauwila, Ke Kilohana is a new 43-story, 424-unit condominium high-rise. 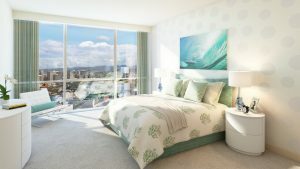 With 49 market residences and 375 residences reserved for qualified Hawai’i residents, Ke Kilohana includes a flagship Long’s Drugs (CVS Pharmacy) on the ground level, and a suite of amenities designed for a lifestyle of convenience, connectivity and well-being. The project is conveniently located close to a rail station, shopping and restaurants. Much like an art exhibit, The Collection is made up of distinct pieces in a single setting. 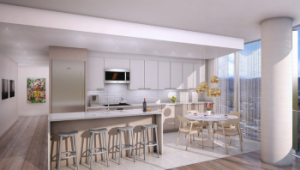 The Collection is a new development by A&B Properties, LLC and is planned to encompass a high-rise tower, a four-story mid-rise and townhomes. 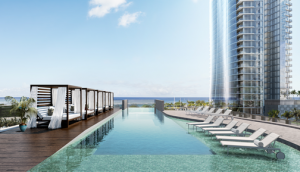 The tower began the sales of their 397 residences in 2013. Construction began in 2014 and the building is expected to be complete in 2017 . The 54 lofts, including 48 one-bedroom units and six two-bedroom units. Pet Policy: No more than two (2) pets shall be allowed per unit. No weight restriction. 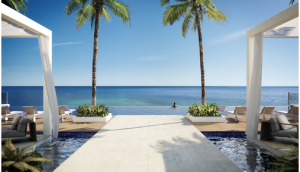 Waiea is a new luxury residential development planned by Victoria Ward Ltd. and the Howard Hughes Corporation. It is part of the first phase of an ambitious neighborhood redevelopment plan. 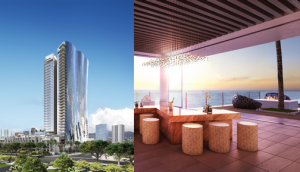 The condo tower has a unique glass façade facing Diamond Head which appears to ripple like waves and is inspired by the local surf. The tower is nearly oceanfront, just across the street from the Ala Moana Beach Park. Construction is scheduled to be completed by 2016. 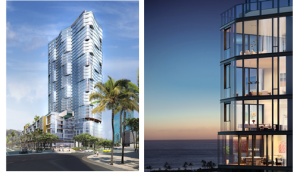 Anaha, meaning “reflection of light” in Hawaiian, is the second market high-rise tower planned by Howard Hughes Corporation. It has an angled and unique stepped façade as a result of the varied “stack A” and “stack B” floor plans ever 4 floors. Anaha is primarily residential but will house about 17,000 sf of retail space at the ground level as well as 73 townhouses and flats on floors 2-6. Located at the old Pier 1 site in Kaka’ako, construction is scheduled to be completed by 2017. 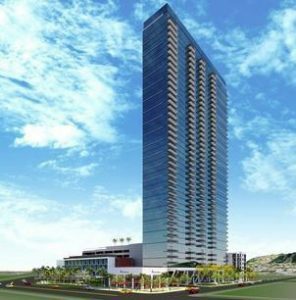 AE’O consists of a high-rise residential tower with approximately 466 residential units. The tower will rest on a platform structure and have a combined total of approximately: 78,319 square feet of commercial space (currently designed for Whole Foods Market flagship store), 53,375 square feet of indoor and outdoor recreation space, and 1,301 parking stalls. Construction is scheduled to start in 2016 and be completed by 2018. 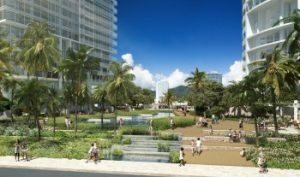 Ward Village Gateway Towers is the first residential and commercial development in Phase Two of the Ward Village Master Plan, a 60-acre master planned community located in the Kaka’ako district of Honolulu. 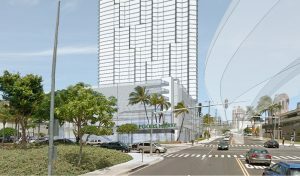 Ward Village Gateway Towers will include a public park and two mixed-use towers with approximately 236 total residences and 20,000 square feet of retail. 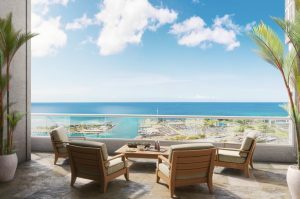 Experience the convenience of urban living at Kapiolani Residence – Ala Moana’s newest residential condominium project. The brand new tower will include both affordable and market-rate units for fee simple ownership. The property will contain commercial units on the ground floor, 9th floor recreational deck, indoor party room, BBQ grills and cabanas, and a parking garage with assigned stalls and bicycle storage. 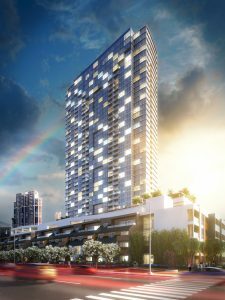 The 45-story, 485-unit residential condominium tower will include a mix of affordable and market units located at 1631 Kapiolani Boulevard. It will consist of studio, one, two, and three-bedroom units. Construction is expected to begin in 2016 and be completed in 2018. CLICK HERE to see Kakaako Condos for Sale!